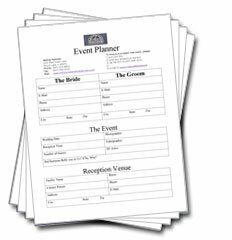 Our Event Planner: Our new Event Planner helps make planning easy. Please print this PDF file, fill in the blanks, and fax to us. Your input helps our DJ's make your event spectacular, so please share your wishes with us! Mobile Beat's Top 200 Most Requested Songs: We highly recommend that you check out this year's hottest party songs played nationwide, then share your favorites with us on the Event Planner PDF above. Doing so will help your DJ understand the atmosphere you want at your event! "Great company to do business with. They stayed in contact when needed and accommodated all of our needs for the wedding. Very reliable and great at keeping the party going. I think the most important part is that the DJ knows the proper music to play to keep the crowd moving and Andre did a phenomenal job at that. Thank you once again for everything."